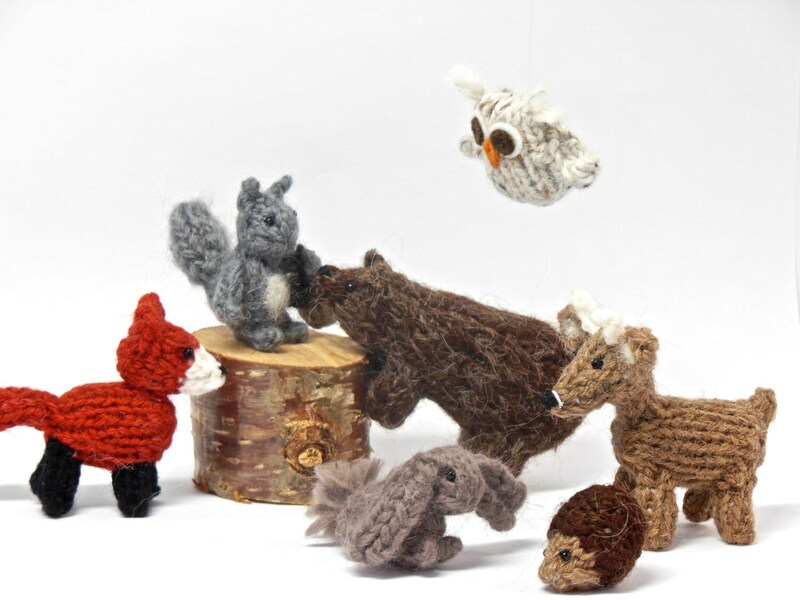 • squirrel with 1 acorn (1.5 " tall). 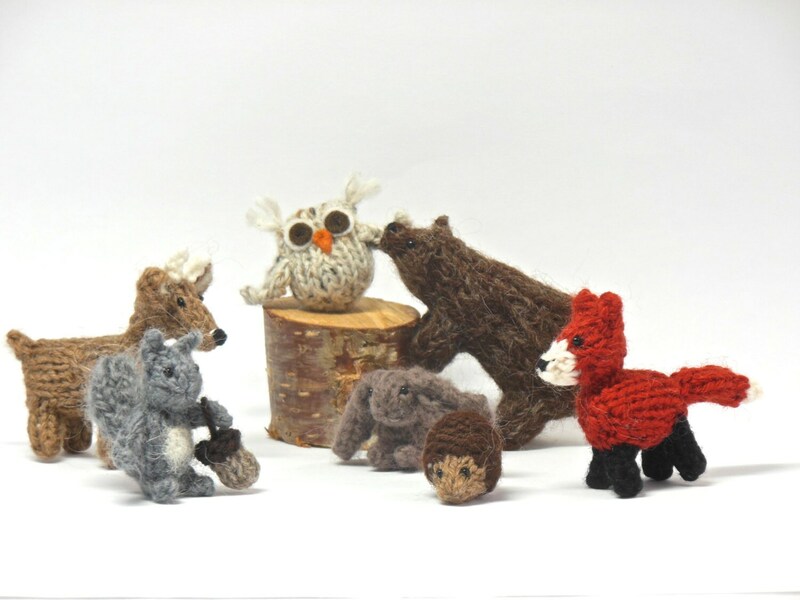 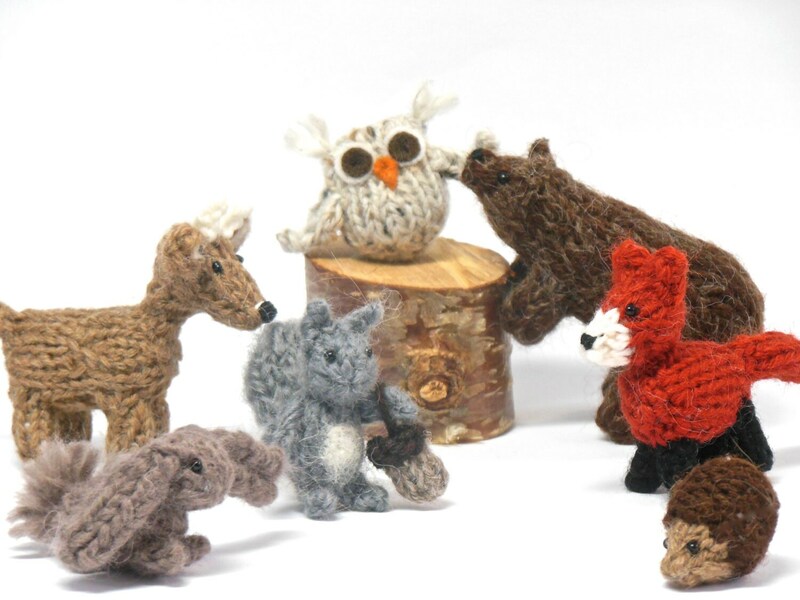 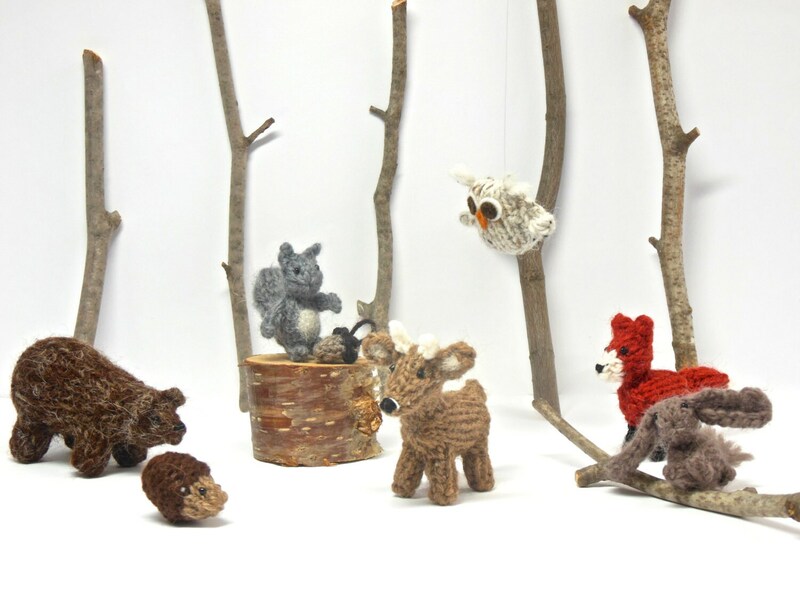 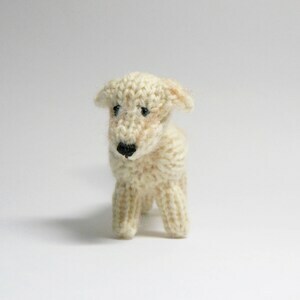 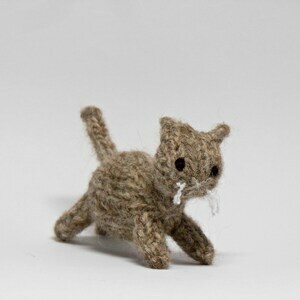 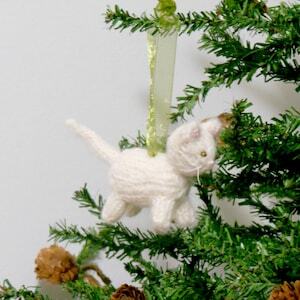 Each animal is designed and hand-knit in high quality wool and alpaca yarn. 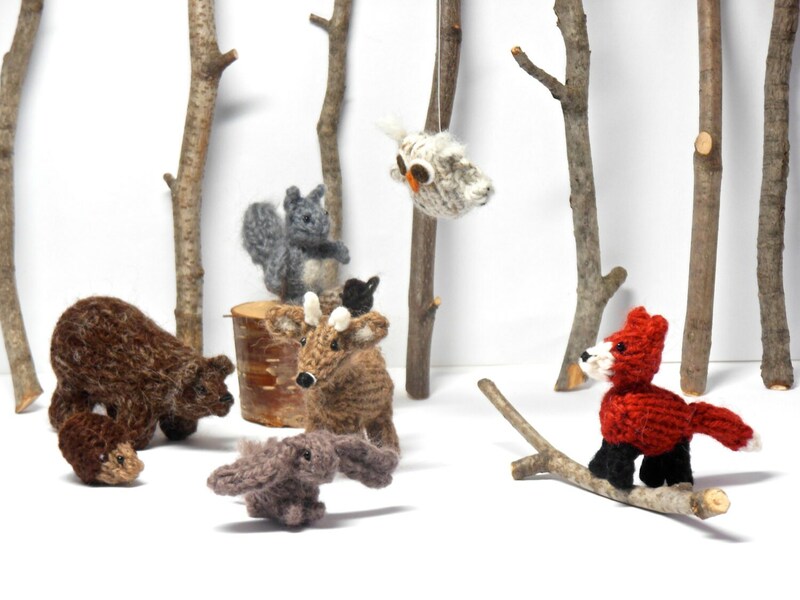 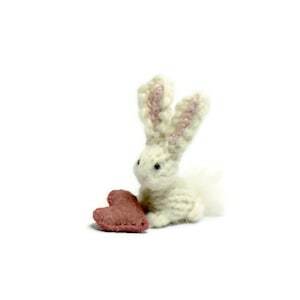 Perfect for display, miniature collections, and anyone who loves and appreciates tiny animals.